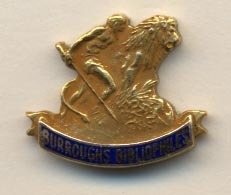 The Burroughs Bibliophiles, founded in 1961, is an international organization consisting of the fans of the writings of Edgar Rice Burroughs. It is governed by an elected board of directors. Articles and information contributed by members are published in a quarterly journal called "The Burroughs Bulletin," originally begun by Vernell Coriell in 1947 as the first Edgar Rice Burroughs fan magazine ever published. Upon his death, the mantle was assumed by George T. McWhorter, now the curator-emeritus of the Burroughs Memorial Collection which is housed at the University of Louisville, Kentucky. The current editor is Henry G. Franke III, (COL, USA Ret.). The Bibliophiles also issue a monthly newsletter, "The Gridley Wave", which features news of interest to readers and collectors, especially that about new editions of ERB stories, new films and televison productions, and upcoming Dum-Dum meetings (annual convention) and Bibliophile Chapter meetings around the world. The National Capital Panthans, host (as of 2015) of five Edgar Rice Burroughs Chain of Friendship (ECOF) fan conferences and four Burroughs Bibliophiles Dum-Dum annual conventions, is the Washington-Baltimore-Annapolis area chapter of the Bibliophiles. An active discussion group through meetings and its PanthaNet e-mail links, the Panthans gather each month at members’ homes, have a newsletter, publish a "Journal" available only to those active members who attend meetings, and maintain a web site at www.panthans.org.